Check out my New York Times post on Valentine’s Day lessons for English Language Learners! And here’s my second NY Times student interactive on the holiday! Valentine’s Day is approaching, so I thought another “The Best…” list might be in order. MES Games has a nice activity to develop Valentine’s Day vocabulary. Valentine’s Day Around The World is the title of several listening exercises from ELLO. Make A Valentine with Starfall. Check-out the History Channel’s Valentine’s Day site. Here’s a cloze (gap-fill) on the history of Valentine’s Day from Isabel Perez. Here’s another cloze from Learn English Feel Good. Here are two crossword puzzles for English Language Learners about the holiday. EL Civics has a good Valentine’s Day Lesson for ESL Students. Take a Valentine’s Day quiz. Lanternfish has a number Valentine’s Day handouts. * A card from Blue Mountain. Love Ever After is a slideshow from TIME Magazine where couples who have been married fifty years share their secrets for making love last. The Wall Street Journal has a video news report about a lonely penguin in the London Zoo — the only one without a partner — and all the Valentine’s Day cards she is receiving. CBBC Newsround has a very accessible description and history of Valentine’s Day. St. Valentine’s Day is a series of interactive exercises for English Language Learners. My Valentine’s Day Minibook is a nice downloadable resource from Frenchfrog’s Little English Pond. Saint Valentine’s Day is a truly exceptional interactive book for English Language Learners. It’s another wonderful resource created by Frenchfrog’s Little English Pond. Breaking News English has several St. Valentine’s Day activities. ESL Holiday Lessons also has tons of info and exercises. Valentine’s Day: send a miniature card via the World’s Smallest Postal Service is a neat slideshow from The Telegraph. Valentine’s Day Across the Curriculum is from The New York Times Learning Network and has a lot of good lesson ideas. Here’s a slideshow from TIME called Valentine’s Day Comes To First Grade. The Magpie Moments blog has a very nice downloadable activity for English Language Learners. In addition, Anna describes the process she used to produce it, which she adapted from Jason Renshaw. Here’s Valentine’s Day hand-out Jason Renshaw has made. ESOL Courses has a fantastic set of activities. Valentine’s Day around the world in pictures is a slideshow from The Telegraph. Top Ten Memorable Kisses is a slideshow from TIME Magazine. Valentine’s Day Across the Curriculum comes from the NY Times Learning Network. The Facts of Love is an interesting infographic. The LA Times has tons of Valentine’s Day photos. The Atlantic has a great series of pictures. A Scandalous, Victorian Valentine’s Day comes from NPR. Valentine’s Day 2012 Spending, By the Numbers is from TIME. Uzbekistan ‘cancels Valentines Day’ is from the BBC. Valentine’s Day from days gone by – in pictures is from The Guardian. Valentine’s Day ‘wedding’ for ram and deer at China zoo is from The BBC. Valentine’s Day 2012 is a photo gallery from The Atlantic. Five Countries Where Valentine’s Day Is Banned is from Foreign Policy. Valentine’s Day, love and money is from The Los Angeles Times. Animal love: Valentine’s day lovebirds in displays of affection is from The Telegraph. The Dark Origins Of Valentine’s Day is from NPR. Valentine’s Day – Hitting The Sweet Spots is from the ASIDE blog. Last Minute Love Lessons is from Online TEFL Training. Valentine’s Day – Resources for class is from David’s ESOL Blog. Valentine’s Day: A History of the Day of Love is from Voices Of America’s Learning English, and includes a number of resources. Heads Up English has a good Valentine’s Day exercise. Why do we celebrate Valentine’s Day? is from EFL Smart Blog. Good Relationships: Most Repeated Advice Across 25 Relationship Guides is a great infographic. Valentine’s Day is an interactive from Learn English Teens at the British Council. L.O.V.E. – activity/lesson plan is for English Language Learners. Odd ways to mark Valentine’s Day around the world – in pictures is from The Guardian. My Valentine – A fun lesson for Valentine’s day is from Talk2Me English. Valentine’s Day’s Biggest International Haters is from The Atlantic. Everything you ever wanted to know about love, in 25 maps and charts is from The Washington Post. Valentine’s Day Lesson Idea/plan + materials is from Lizzie Pinard. 25 Valentine’s Day lesson ideas with less cheese is from English Teaching Professional. 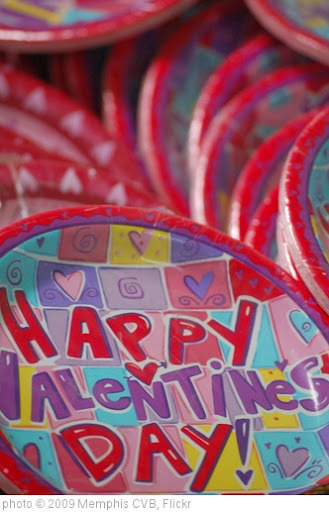 How to teach … Valentine’s Day is from The Guardian. The Washington Post has published two graphics: Love is in the mind, not in the heart How Deep Is Your Love? Hundreds of couples leave ‘love locks’ across London ahead of Valentine’s Day is an article from The Telegraph. Again, thanks to Michelle Henry. In Pictures: Valentine’s Day in nature comes from The BBC. From lonely hearts to electronic dating is an interactive history of matchmaking — from the BBC. Freaky Ways Animals Woo Mates With Gifts is from Wired. Hearts in Nature (PHOTOS) is from The Weather Channel. Valentine’s Day 2013 is a photo gallery from The Atlantic. I Love You in 130 Languages is an infographic. Here’s how much people in your state spend on Valentine’s Day gifts is from Vox. What America Eats on Valentine’s Day is from Eater. Your Valentine Is More Interested In Dinner And A Card Than Anything Else is from Five Thirty Eight. A Series of Untranslatable Words About Love from Andrew Norton on Vimeo. See the Valentine’s Day Cards That Changed How Americans Express Their Love is from TIME. The Words Men and Women Use When They Write About Love is a cool interactive from The NY Times. Celebrate Valentine’s Day with the musical language of love is an interactive from The South China Morning Post. Here’s another one they posted. Love Lessons is from Edutopia. Valentine’s Day Traditions Around the World is from Voice of America. What does ‘I love you’ mean? It depends on where you say it and what language you speak. is from The Washington Post. Your readers might like this one also. In partnership with Poets.org, TextTelevision has put together a Valentines Poem Flow application. Users choose from one of the classic love poems and add their own dedication and a four line ‘cover’. The combination is then transformed into a unique flowing animated movie that can be shared online. The result can be a truly moving tribute that has to be seen to be understood! Thank you for the list. It’s people like you that make life so much easier for others.